Warren Montague currently serves as the Manager of Mobility Services for MV Transportation in Detroit, MI. In this role, he is the liaison for the Detroit Department of Transportation (DDOT) Compliance & Standards department which oversees the Disadvantaged Business Enterprise (DBE) Program, Title VI, Paratransit Services, Specialized Services and the Drug and Alcohol Program. Previously, Warren was the Chief Operating Officer for Customized Community Transportation of the Southeastern Pennsylvania Transportation Authority (SEPTA), in which he was responsible for all contracted transportation services including Paratransit, circular and small bus routes in the surrounding counties. As a transportation professional, he was an effective chief and oversaw one of the largest Paratransit operations in the United States. His management expertise facilitated the delivery of critical transportation services to a seriously under-served constituency in the fifth largest city in the country. Under his leadership and guidance, the Greater Philadelphia Area local chapter has received numerous awards including “Chapter of the Year” for its community service and scholarship efforts. In addition, local corporate executive members have been awarded “Executive of the Year”. Warren has been the recipient of several awards for his service and leadership, including the Gerald A Sibling Award. Although currently working in the Midwest, he continues to stay connected and provide counsel to the local chapter. Warren holds a Bachelor’s Degree in Criminal Justice from Temple University and an Associate Degree in Arts: General Studies. He is a member of Omega Psi Phi Fraternity, Mu Omega; Phoenix Lodge #3 F&AM, PHA; Melchizedek Chapter #15 HRAM; Martin Luther King Jr. Consistory #86 and Pyramid Temple #1 AEAONMS. Former Board member: Pennsylvania Transportation Coalition (PenTrans) and Philadelphia Academies, Inc. Advisory Board for Public Education. 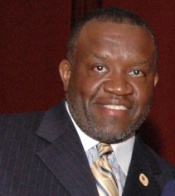 He is currently serving on the Deacon Board of Sharon Baptist Church of Philadelphia.